I wouldn't keep any school open that wasn't doing a better-than-average job. 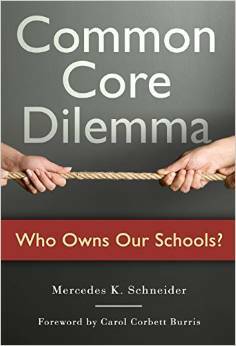 I wrote a wry response regarding the mathematical nonsense related to her misspoken goal of all schools' being "above average." However, even as US News rushed to Clinton's rescue to say that Clinton's comment had been taken out of context, the greater problem is that Clinton tossed off such a comment at all. WASHINGTON--Democrats backing the effort to overhaul American education have become increasingly concerned that presidential front-runner Hillary Clinton isn't committed to their cause, and some donors are holding back support for her campaign. Their worries stem from skeptical comments she has made about charter schools and teacher evaluations, as well as her close relationship with teachers' unions, who are critical of both. "There are a lot of deep-pocketed donors who are concerned, and they're going to hang onto their checkbooks until there is more clarity," said Whitney Tilson, managing partner of Kase Capital, who has given more than $150,000 to Democrats in recent years. He hasn't donated any money to Mrs. Clinton or the super PAC supporting her this year "primarily because of this issue." Policy aide Ann O'Leary posted an essay on medium.com assuring that "yes, Hillary Clinton supports charter schools," as long as they are high quality. Campaign spokesman Brian Fallon added that Mrs. Clinton supports federal funding to expand "high-quality charter schools." It seems quite popular to support "high quality" charter schools without supporting any solid, systematic course of fiscal and other operational accountability for such schools. Then, of course, comes the destructive issue of charter churn as an excuse for that "high quality." In other words, "If a charter isn't high quality, we'll just close it and open another." Clinton has yet to substantively comment on how her views on public education will meld with the newly-passed Every Student Achieves Act (ESSA), which leans heavily on standardized test scores even as it lacks any backbone for its generous language on "autonomous" charter school establishment and expansion. She also has offered nothing on exactly what she considers to be a "good" or "above average" school. Yes, "above average" is a math term, but it is also a politically loaded term, just like "high quality" or "higher standards," which politicians toss about as though sprinkling bacon bits in a salad. Eli Broad won't like such statements. 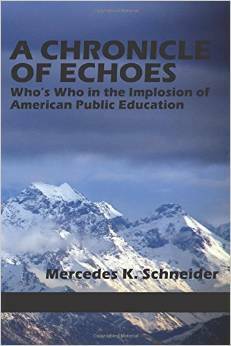 Schneider is a southern Louisiana native, career teacher, trained researcher, and author of the ed reform whistle blower, A Chronicle of Echoes: Who's Who In the Implosion of American Public Education.